If you are thinking about building a retaining wall in garden. WoodBlocX system could be the solution you have been looking for. Like giant kids building blocks our system is easy, quick and fun to build with. 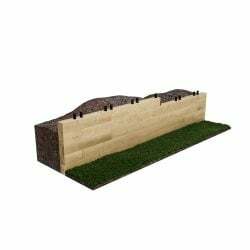 Our retaining walls are so simple and quick to put together that anyone can have fun building a retaining wall or border. This video shows how you would build a retaining wall on a sloped garden. Just contact our design team today for a free design specifically for your garden. Our team can help you design any shape or size structure that you feel would fit your space and needs best. With WodBlocX you are not limited to straight walls as we can design curves, circles or ovals of nearly any radius to suit your garden. If your looking for something that is a little more bespoke for your garden, then our free garden design service is ideal for you. We have a team of designers in-house who are more than happy to tackle any ideas which you might have for redesigning your garden. Whether it's a curved planter, a new seating area or a pond, our team have a wealth of experience that can help you achieve the results you're looking for. To get started visit the link below. Sleepers need a foundation or footing to sit on, concrete is messy, hard work and expensive. They are also incredibly heavy and difficult to work with, and often expensive to buy. Its also difficult t cut them to your exact angles or sizes without heavy landscaping machinery. Stone or blockwork is expensive and requires mortar and foundations, as well as the skills to build with it successfully. WoodBlocX is also comparably cheaper than bricks. 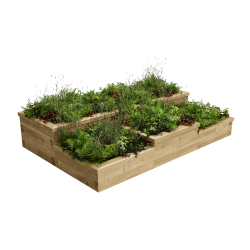 The unique WoodBlocX system means that it can be adapted to almost any garden situation, and any size or design that is needed. There are hundreds of pre-designed beds, planters, ponds and more, but we can also help you to design whatever it is that you need, so that it fits perfectly into your space. 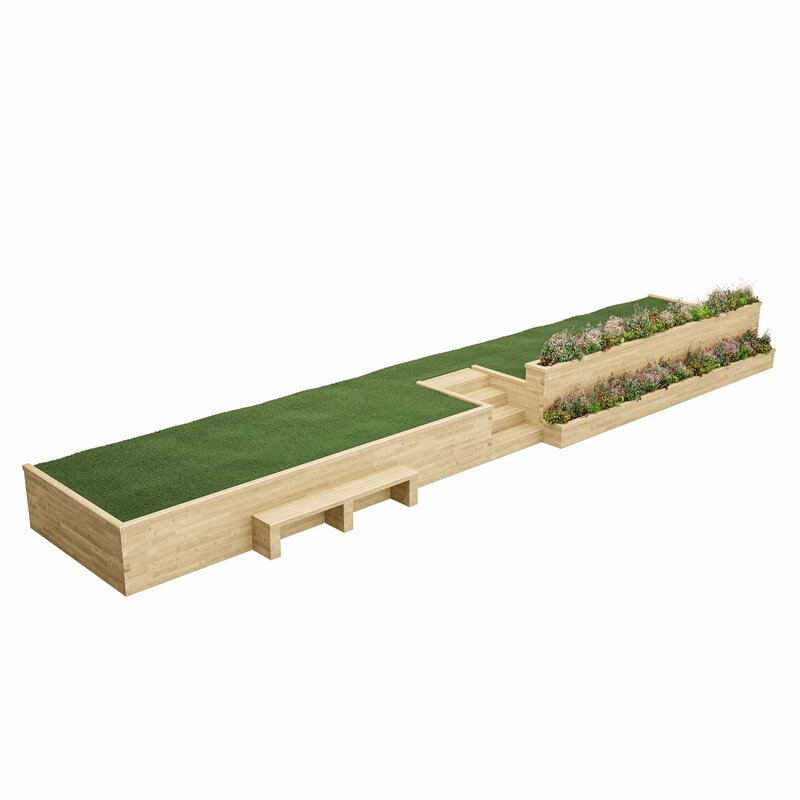 Once the design is finalised, delivery only takes 3-4 days, and the WoodBlocX are so simple to construct, your garden could be transformed by the end of the weekend! Use the menu to navigate to the type of product that you need to view our predesigned kits, use our online calculator to work out the price of your own design, send us a sketch with your requirements, or simply give us a call on 0800 389 1420 to talk things through. Click here to order our catalogue and information sheet. Nothing lasts as long as stone, but we can't all have the expertise or money to build beautiful stone walls. WoodBlocX provides a simple alternative that will last much longer than made-up wooden structures. Because it is pre-drilled the pressure treatment penetrates almost 100% of the sapwood and it can be expected to last 15 years or more, when installed following our simple instructions. WoodBlocX has more strength than masonry in some situations because it can withstand tension forces as well as compression. It will not crack with ground movement or frost. WoodBlocX is put together with many joints (each dowel withstands 0.9 tonnes shear force) and forms a rigid structure that will not easily distort like other timber products. Here WoodBlocX really comes into its own! It is light and easy to carry and all the parts fit into an average car. To put it up you need no elaborate foundations, no cement mixer or water, and only a hammer and some common household tools. It is quick! No waiting for cement to dry. WoodBlocX has a really neat attractive appearance. If desired it can be painted with exterior wood paints or just left with its natural colour which will last for several years. Because it retains its shape WoodBlocX will generally look much neater than assembled-on-site wooden products. Naturally stone is expensive to buy and to build. WoodBlocX is comparable to brick, and less expensive if you do it yourself. Other wood products that are cheaper to buy are not so durable or attractive and are generally much harder to put up. With WoodBlocX Raised Beds, Boxes and Planters you’ll rediscover the pleasure in gardening. Our kits can help you build raised beds that are beautiful and practical, giving you extra height and adding shape and structure to your outdoor space. 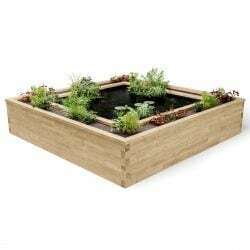 It couldn’t be easier to create a raised timber pond that’s perfect for your garden from WoodBlocX. The versatility of our products means they can be used to build koi ponds and water features of any shape or size, creating a fantastic centrepiece for your garden. 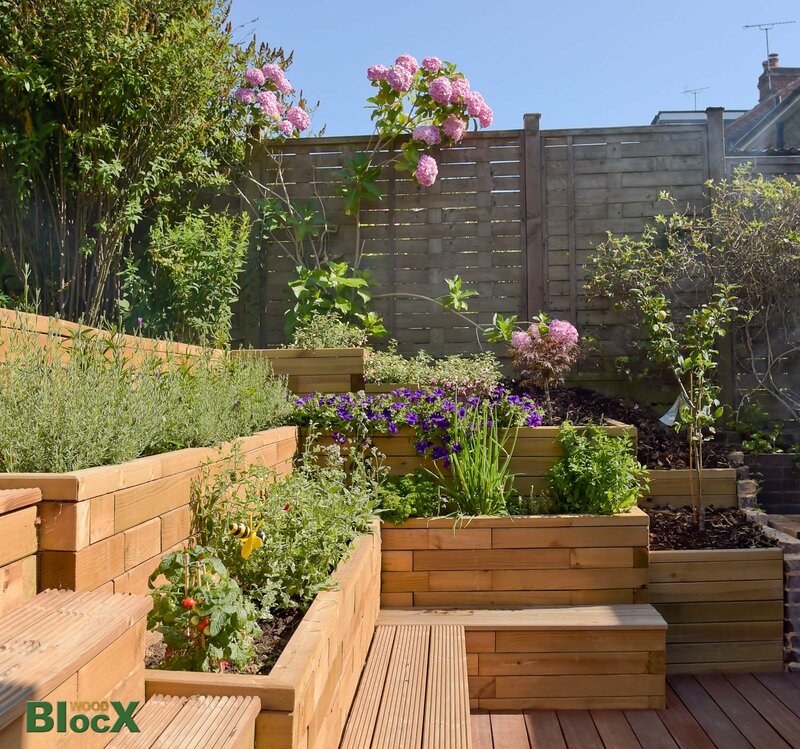 It’s easy to bring your garden to life with WoodBlocX. A little landscaping and the slopes and hills can be turned into terraces, borders and flat lawns, with additional built in features such as steps, benches and pillars. And it's much easier to build with than sleepers.